The demise of the Japan’s proprietary XMDF e-book format opens the door to EPUB3, international standards and competition. 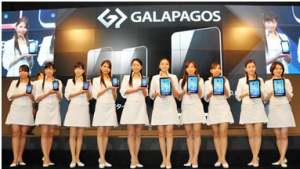 TOKYO: On September 15, when Sharp announced that it was suspending production and sales of its much hyped flagship e-reading tablets, called Galapagos, it was seen as proof that Japan would not able to develop an e-book market “in an isolated environment.” That Galapagos failed to survive the first year, many also took it that Sharp was abandoning the proprietary XMDF file format. Why is this important to international readers? Let me explain. The XMDF e-book data format, developed by Sharp several years ago, was considered by many in the publishing industry to be the digital format best suited to publication of Japanese books and comics. Its development and promotion was funded by the government and it was widely supported by the major publishers. Many believed XMDF, not EPUB, might become the primary standard and serve as an effective hedge against the influx of foreign platforms and devices. Promoted as the Japanese answer to the iPad and Kindle, Galapagos was the only reading device offering the XMDF file format. The tablet e-reader came in two models — one with a 5.5-inch screen for ¥39,800 ($474), the other in a 10.8-inch version for ¥54,800 ($653) — based on Android, but providing a proprietary interface and exclusive access to to a cloud based e-bookstore run by Tsutaya, a leading retail and rental chain. Sales for the devices were expected to quickly reach one million, but despite an enormous publicity push, hit only 30,000 in the first ten months on sale. So, why did “national flag carrier” for e-books fail to take off? Part of the unpopularity of the Galapagos can likely be attributed to its strange name, high price, and poor user experience as compared with rival devices (such as the iPad). But the major problem may simply be the limited number of e-book titles available for a device that was pitched as a dedicated e-reader. The company may have overestimated the major publishers’ willingness to publish a suitable number of e-books to make the device appealing. Over the summer, Sharp reacted quickly to market sentiment, releasing a 7-inch tablet, one based on Android 3.2 and that operates more like a common tablet and offers access to the Android Market. It is not sold as a dedicated e-reader, and will remain in production. Sharp is also promising two more tablets shortly. What this all means is that Japanese publishers and device manufacturers may be inclined to turn away from XMDF to EPUB3, introduced this year. EPUB3 now adequately supports Japanese typesetting rules (much of thew work accomplished by a team of Japanese engineers) and is also usable with web browsers supporting HTML5, as well as the Japanese typesetting extension already implemented by Apple’s Safari. 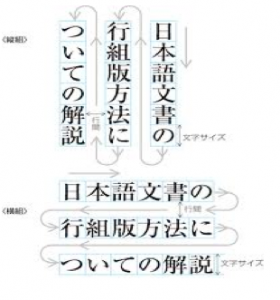 The EPUB3 standard effectively eliminates the invisible barrier surrounding Japan which has been used to protect the local publishing industry by requiring foreigners to master enigmatic character sets and complicated vertical typesetting rules that are unique to the market. 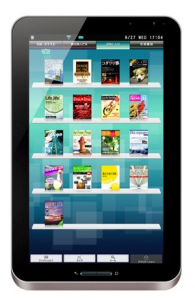 In fact, the official release of EPUB3 was reported by one Japanese newspaper as the “landing of global standards in making e-books” that will bring foreign rivals to the publishing industry. Yes, it might be a shock for the industry to live in the open world without the protection of a technical barrier. However, they have also been given a key to the global content market, just like their foreign counterparts. They now have the opportunity to sell content in any format, anywhere in the world. DISCUSS: In Asia, in Publishing? Tell Us Your Story.